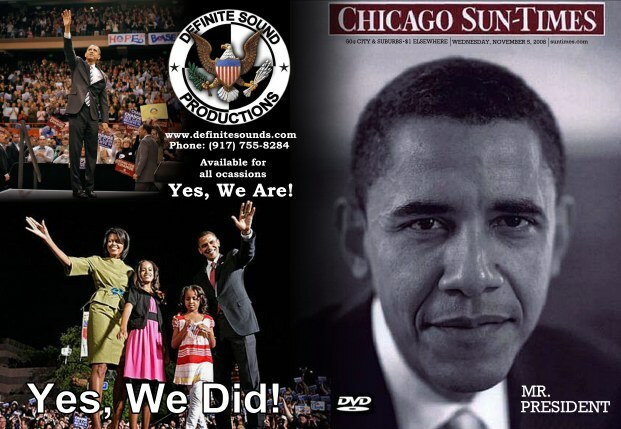 The Adventures of Obama - Acceptance Speech DVD : $20.00 (If mailed add $5.00 S&H). 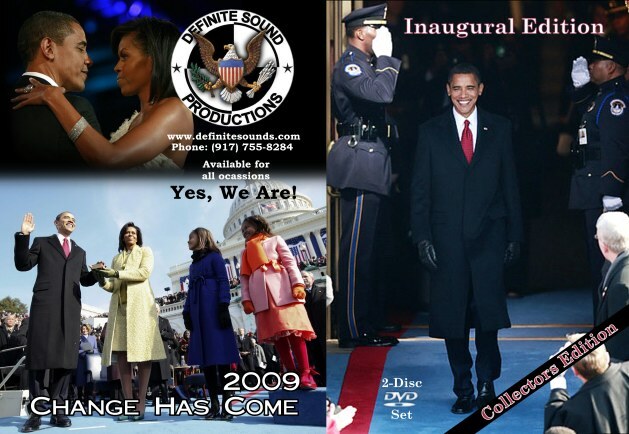 The Inauguration of Obama DVD: $20.00 (If mailed add $5.00 S&H). The Collectors Edition - Double DVD Set includes both disc for $40.00 (If mailed add $5.00 S&H). That's a $5.00 savings on S&H. 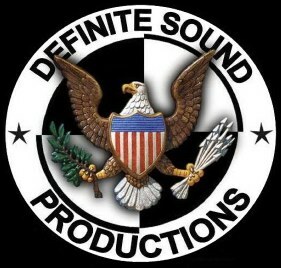 The Official Obama Soundtrack is available on audio CD. Volume 1 & Volume 2 are both Double CD sets which retail for $10.00 each (If mailed add $5.00 S&H).